Altra says: updated knit upper and mid foot strap, sleeker heel cup, increased breathability. Derek: This is my first time trying the Escalante, and I was really looking forward to it after all the raves reviews I read of version 1. I did briefly have a feel of the new Escalante Racer at the London Marathon expo a few weeks back, but it felt a little too low in the stack department for me. With the Escalante 1.5, I can see that there is definitely more foam underfoot, which seems to make all the difference to the feel. The color I received was a sort of dark grey, which works fine for me. Maybe a little on the vanilla side, but I know the Escalante colors tend to be more muted anyway. Initial step-in feel was good. The fit is true to size, and overall shoe volume works out very well for me. I was able to get a secure lock down in the heel without having to put much tension into the lacing. Just walking and jogging around in the shoe, the bouncy feel of the EGO foam is immediately noticeable without any bottoming out. We are off to a good start! My shoes came in at 8.4oz a piece for a US9.5, including EVA sockliner. David H: When first getting these in, I thought there were basically no changes from the 1.0, but after closer inspection there are some new design aesthetics and both in reflective material on tongue and heel as well as slightly updated mesh patterning, particularly in the midfoot. Essentially, if you liked the looks of the first Escalante, these will be nearly indistinguishable from any distance. Dave A.: As like Derek, this is also my first go at the Escalante. 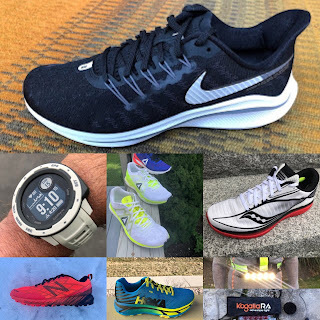 I had tried version 1 on in various run shops last year and was intrigued by the buzz around the shoe and the solid marketing Altra wrapped around it. I have many friends who train in Altra and they raved about v1. The 1.5 has an awesome step in feel. It’s honestly one of the most comfortable shoes I’ve put on my feet this year. The new updated knit really makes a huge difference in the comfort department and my feet feel like I’m wearing a slipper, always a good sign for me. The tongue is perfect as well. It wraps and lays along my talus really nicely. My size 9 is spot on true to size. I don’t mind the colorway in a dark grey at all. It’s kinda what you get with Altra. Derek: The upper works better than I expected! When I first unboxed it, my fear was that it looked very dense and not very breathable. However, when I put it on, it seems that the upper stretches apart to reveal pretty decent pores for ventilation, so much so that I can see the color of my socks through the fabric of the dark grey upper. Very nifty engineering going on here. I didn’t experience any heat build-up in this shoe, in temperatures approaching 90F on some days, with high humidity. Some people have mentioned before that the Escalante 1 didn’t provide the best lockdown for a racing fit. 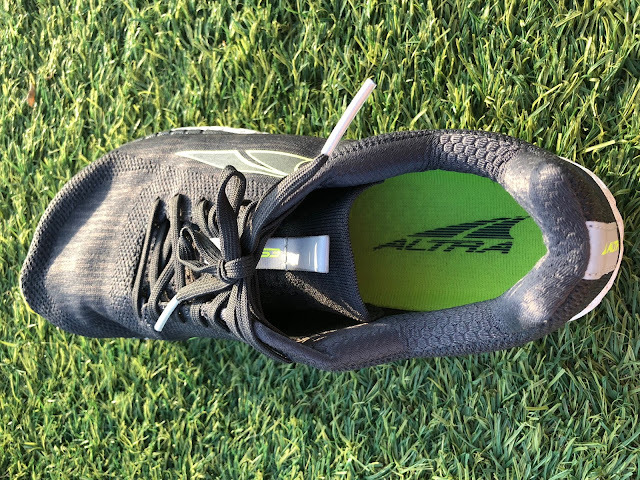 Altra has taken this feedback on board, and have introduced an internal midfoot strap which I presume is there to create better midfoot lockdown, as well as a sleeker heel cup to prevent heel slippage. I did not have any heel slippage issues from the outset and the midfoot wrap was pretty darn good for me. 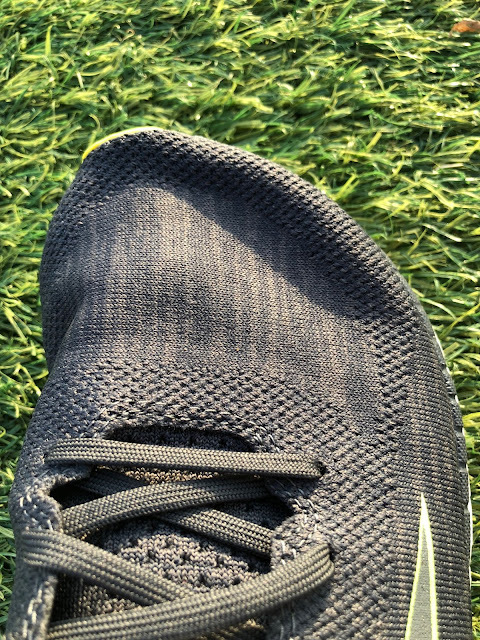 The heel cup is semi-rigid and was not something I noticed when putting on the shoe or when running. It was pretty unobtrusive and didn’t get in the way of a nice snug heel wrap for me. I used it for some sprints on the track, and didn’t think about the shoe at all during my pick-ups. I can see that perhaps it may not work well off-road, but I don’t think upper support will be an issue for this shoe for people using it on the road. David H: The upper is the small but significant update here from v1. For me, the heel and midfoot hold were significantly improved over v1 and at the same time the whole upper is more comfortable and feels more a part of the foot. I’m guessing the extra comfort comes from some more open mesh and slightly more stretch in some areas in the mid foot. The 1.5 has redesigned midfoot internal support straps (v1 straps were wider and stiffer feeling). One of the better uppers Altra has produced in my view..
Dave A.: Outstanding upper! Like Derek, I was a bit skeptical when I received them in that it didn’t look like it would give me a locked and loaded fit. The upper seemed too loose. But when sliding them on, and via the use of the midfoot strap (which works this time for me better than the Torin 3.5 Mesh's - - I get a nice snug racer type fit from a daily trainer. This is huge for me! Toe splay is awesome as well, but I have never struggled with that in Altra….really ever. Derek: The EGO midsole has plenty of bounce and energy return, compared to many other offerings on the market, e.g. Nike React foam. I like that despite the high degree of compressibility, the shoe somehow never bottoms out. That bodes very well for a foam that is on the softer and bouncier side. 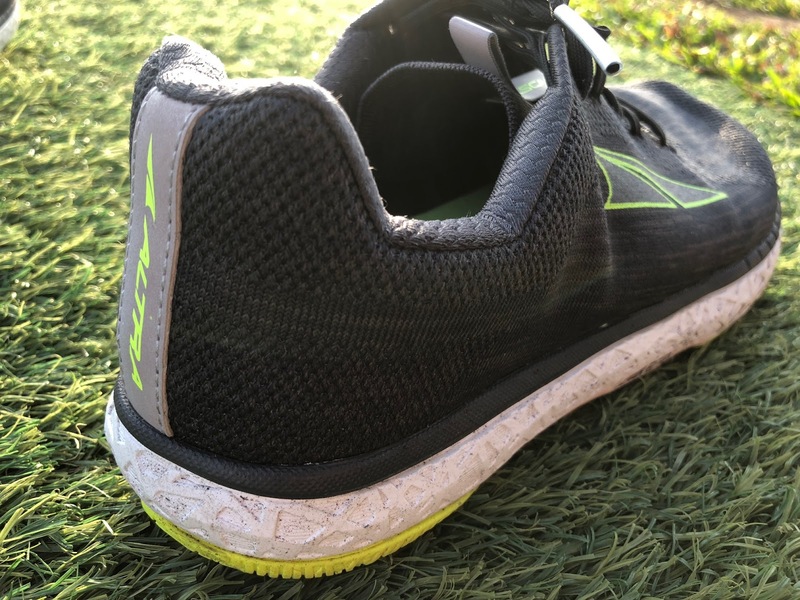 It created a very nice dynamic ride, and is certainly very different from the foam in the Altra Duo, the only other Altra I have worn recently. For reference, I tried the Altra The One several years ago, and my main gripe with that shoe was that it bottomed out a little too much for me at uptempo paces, results in some rather sore met-heads as the miles dragged on. David H: As far as I can tell the midsole is identical to v1. This is a good thing as it retains its popular mix of plush cushion and responsiveness. It really checks all the boxes in a road shoe ride and I’d be comfortable doing both long runs and intervals in them (did 6x2 min hill repeats recently and they felt great). Dave A.: EGO midsole is one of the best midsoles in the run game right now. Adding this to a shoe that already screams fast is a perfect combo. I transition extremely well from heel to toe and like Derek said, it doesn’t bottom out. I would think with the stack low and being zero drop, the shoe couldn’t pack much punch, but the Escalante 1.5 really gives you some pop! EGO gets you there. Derek: There is plenty of outsole coverage in the high wear areas, with the distinctive anatomical last motif. The arrangement is such that there are plenty of groves to facilitate flexibility though the toes, as well as through the medial longitudinal arch. There is sufficient grip for most on-road use, even on wet surfaces, for me. 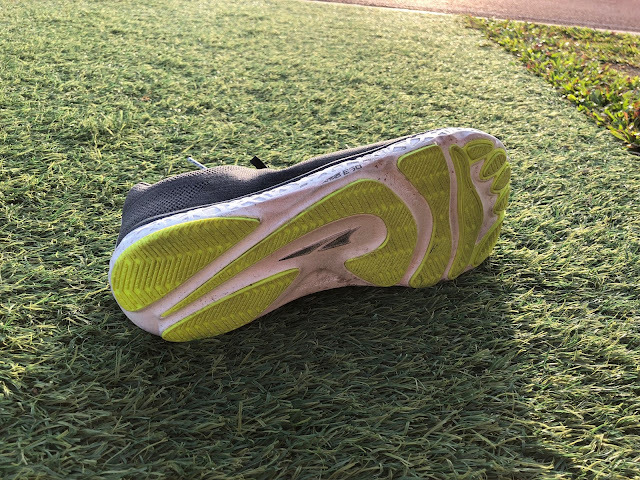 I do think that the midfoot outsole rubber could have been omitted or at least reduced in surface area to just the lateral borders, but otherwise I will say that the outsole does not get in the way of the ride, or make the shoe overly stiff, which is a good thing. David H: The outsole works well overall and really is nearly invisible on the shoe while still providing durability. I’d love to see Altra pursue making the outsole more similar to the new Paradigm 4.0 to increase the trail worthiness of the Escalante (and I think if done right would increase responsiveness as well). Overall though the outsole is not a negative. Dave A. Outsole is fine for me. It gripped well on rail bed and was fine on the roads. Nothing more to really say here. It just works. Derek: I am more of a heel-midfoot type striker in general, and zero drop shoes can be a little hit and miss for me. The Duo was a hit, because of its variable density midsole making the heel firmer than the forefoot. I used the Escalante for a few short speed sessions on the track and a couple of easy and medium effort runs on rolling terrain. With its single density midsole, I did find myself missing the heel as I got a little more tired in the latter stages of my runs. The bouncy ride is fantastic, and second only to the Skechers Ride 7 and Nike Vaporfly in terms of dynamism among the recent crop of shoes, and I can see this shoe working very well for pure midfoot or forefoot strikers. There is certainly enough cushioning underfoot for distances up to the marathon, and beyond. As a heel striker, I always tend to find that I have to work a little harder to get the turnover going in zero drop shoes, and I sense a little bit of that when I run in the Escalante. 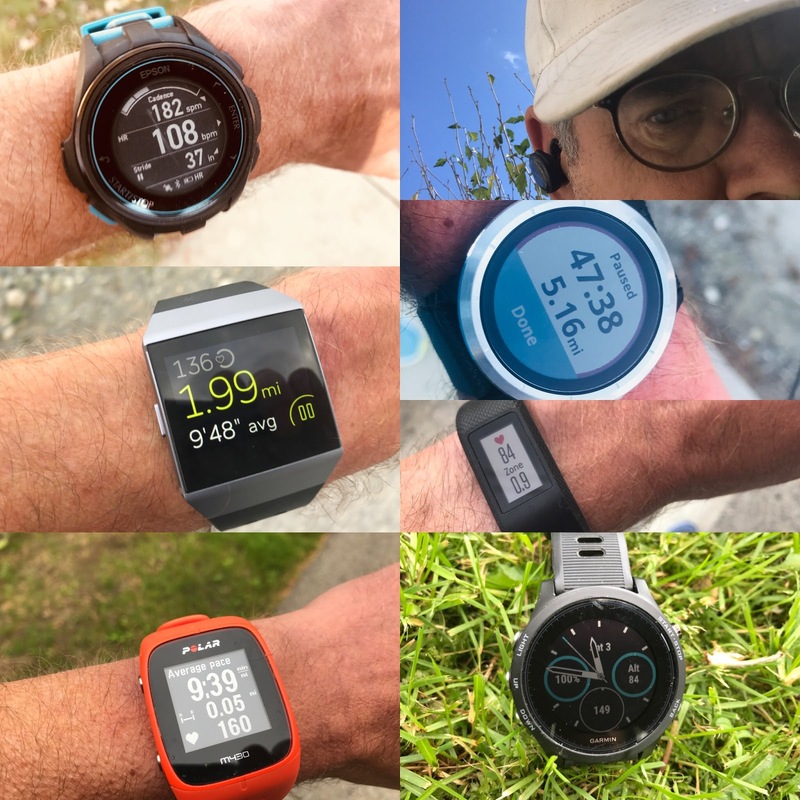 David H: I’m a pretty solid midfoot striker and while the Escalante 1.5 feels like a very natural running shoe and I don’t have any problems running in zero drop, I do have to say (at risk of backlash from zero drop purists) that I think most shoes with non-minimal stack height, could benefit from a small amount of drop for improving the transition from midfoot to forefoot. This is the only thing holding this shoe back in my view. While I understand it is unlikely Altra will add drop to their shoes, I think they should for any shoes with a stack height over 15mm. With increasing stack a shoe moves away from what is the natural position of the foot so why stick dogmatically to zero drop because it is the “natural” position of the foot when the foot is 20-30mm off the ground? I think one could have gradations of the amount of drop for a given stack height. A drop over 6 to 8mm is rarely if ever necessary, but 4mm drop would do wonders to most of Altra’s lineup. Dave A: It’s a pretty sweet ride for a zero drop. I don’t spend as much time on the roads in zero drop preferring to use Altra’s on the trails (that’s where Altra really shines for me) but here the transition rate is quick and as I mentioned above, it packs a ton of snap. The forefoot is a tad soft for me at toe off, but I get there quickly and after a few runs, I began to land a bit better in the shoe. I’m a slight heel striker and supinator, but I always do well inshoes with fast transition rates. Escalante 1.5 worked quite well for me in that respect. I was able to get some general mileage days of upwards of 10 miles. After 10 miles, my feet began to take a beating. 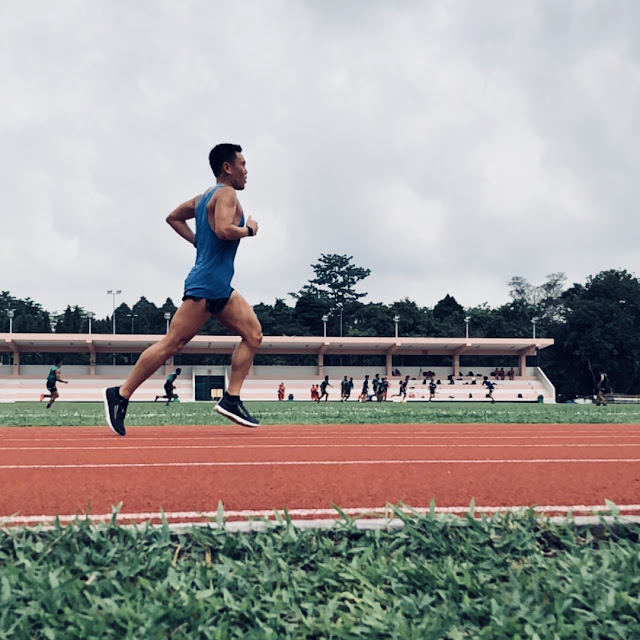 I did a Fartlek session as well (5 x 3 mins hard/2 mins easy + 8 x 1/1) and at faster paces the zero drop begins to get a bit sloppy. Dave Henry hit the nail on the head here…..add just a bit more underfoot via drop and stack and I think you have an absolute powerhouse of a shoe. My training is limited in the Escalante 1.5 because after the Fartlek, as well as the few 10 milers, I’m left feeling a bit more beat up than in a shoe with a little more drop such as a Skechers Razor 2 or Saucony Kinvara 9. Derek Li: I think they have solved all the (minor) issues that people had with version 1 of the Escalante. This is very good news for people who liked version 1. I think it’s great that they didn’t tinker with the platform of the shoe that hit the sweet spot for many people. In terms of shoe width and volume, I think it works well for me, and a little better even than the Duo, which was perhaps a little too wide in the toe box. - 0.5 I still prefer mesh uppers for running shoes. I think Altra has shown that they can execute a mesh upper really well, and I hope that they will consider a mesh version of the Escalante. David Henry: Overall the Escalante is one of the better multipurpose road shoes out there. 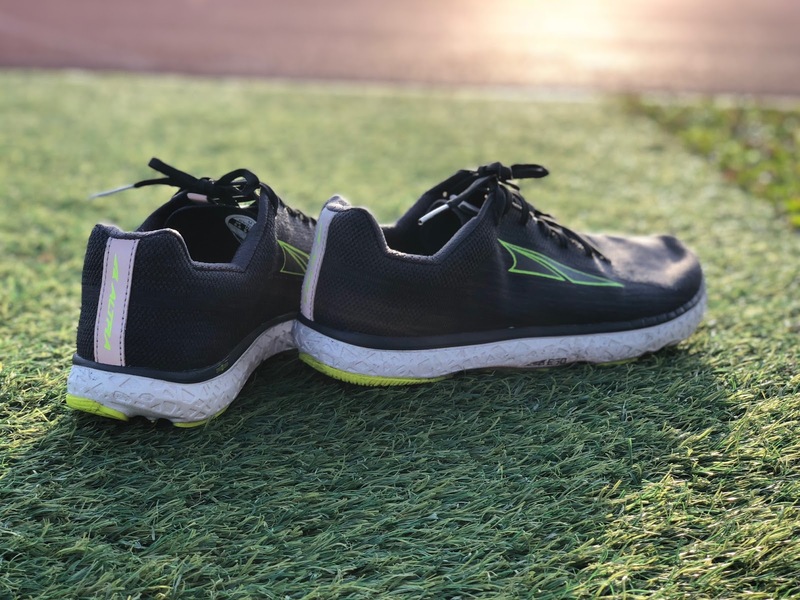 While it isn’t the best racing/speedwork shoe or one that has the tons of structure for longer days or heavy training it has enough to do most runs pretty well. I think it is one of the best shoes Altra has made so far. -0.5 upper is more secure than v1 but still lacking in that area for me. -0.5 shoe still could use a bit more longitudinal stiffness to create more pop on toe off and more structure for longer runs. Dave Ames: This is a solid shoe, but you gotta like zero drop. It can be used for easy mileage days, but I’d personally shy away for recovery days. It’s just not enough shoe to protect when feeling beat up post harder workouts. 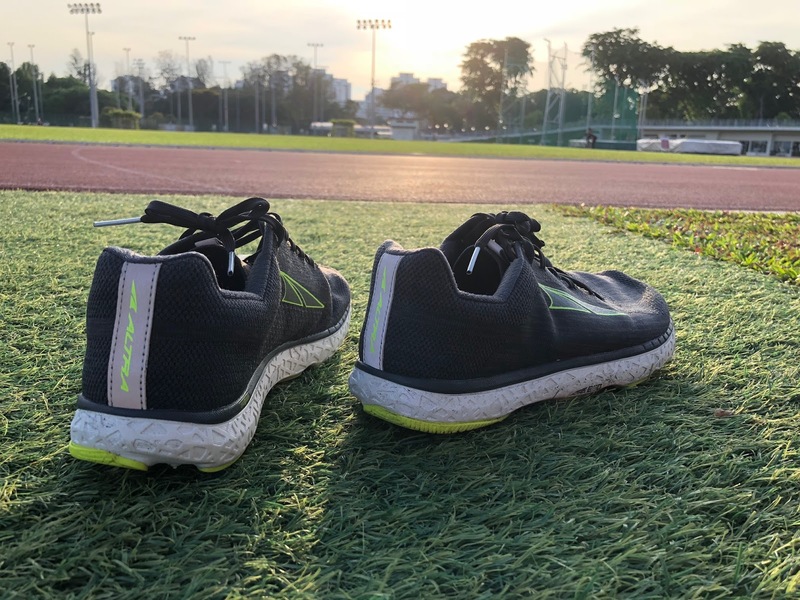 The use of this shoe is limited, so I’d say if the runner does not have much zero drop experience, they may want to limit the mileage in this baby and certainly starting out in them. As with any zero drop, working your way slowly into them is important. But heck, it’s a ton easier than running in a negative drop Newton! It can be used for tempo days or Fartlek. I’d personally stay off the track in it. I have an arsenal of racers with far more power for those days, such as the new NB 1400v6 or Skechers Performance Go Meb Speed 5. The Escalante 1.5 is such a comfy post race shoe!! That knit upper really relaxes the foot post race. -0.5 i could use a bit more pop and stiffness in the forefoot. -0.5 for limited use shoe. I can’t run long in it or use it for a recovery day. David H: the 1.5 and 1 are very similar overall and I’d say not worth the upgrade unless your v1s are wearing out. The upper is a bit more refined in the heel and the internal support straps are shaped better, but nearly everything else is the same as v1. Derek: I find the Duo to be firmer, and a little more stable as a result. It also has more cushioning and a little less ground feel. I think the Duo works better for longer stuff, but the Escalante has a bit more of a speedier feel to it. Duo would work better for wider feet too. Derek: The Escalante has a roomier and much more comfortable fit for me, with its anatomic shape. The Epic React is a little narrow around the heel for me. The Escalante is definitely the bouncer of the two shoes, though the React has more stack and provides more cushioning. People who land a bit more rearward in their stride will find that the Epic React transitions a little faster due to its rockered shape. Dave: Tough match here, because I really enjoy both. But, I get far more use out of the Instinct 4.5. It’s just much more shoe I can get more use out of. I leave a run or a tempo feeling far less beat up and the forefoot packs more pop and a firmer feel, which is what I like. Instinct 4.5 for the W.
Derek Li is a family physician who lives in Singapore. He has been running marathons for the past four years with a 2017 marathon PR of 2:41. He started running for triathlon training in 2003, and now focuses purely on running in a bid to run all the Marathon Majors. In his free time, he likes to review running shoes and related products at his blog Running Commentary. David Henry is a entrepreneur, endurance coach with CTS (https://trainright.com/coaches/david-henry/), husband and dad to 3 children. He has run distances from short road races up to mountain 100 milers totaling around 40 ultramarathons over the last 8 years. His broad range of experience with hundreds of shoes over the last 8 years has helped inform a better understanding of what tends to work best in a multitude of conditions and circumstances. Photo Credit: Derek Li and David Henry.The Escalante were provided at no cost. The opinions herein are entirely the authors'. Altra Escalante 1.5 Vs Topo Athletic ST-2? Thank you gentlemen! The updated Escalante is of great interest to me as a major fan of the original. Aside from the upper and heel, it appears that the midsole and outsole are identical. The forefoot actually looks wider than the original too, thought it may be the fabric that creates that impression. Curious how this upper compares to the Escalante Racer? And is there any difference in the midsole between the Racer and the 1.5/1? I've seen conflicting info about this. I loved the Escalante 1.0 but I had to send it back, too sloppy on the forefoot for running 200 and 300 meter track sprints. Great if you're just running in a straight line. I also hope they produce an Escalante with a mesh upper. This knit upper doesn't work for a serious running shoe, unless you don't ever intend to sprint. How generous is the midfoot area compared to pegasus 35?